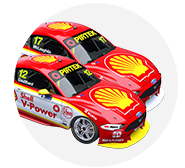 Virgin Australia Supercars Championship leader Scott McLaughlin led a Shell V-Power Racing one-two in final practice for the Winton SuperSprint. 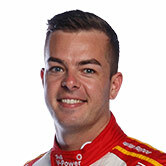 In a cold but dry session, McLaughlin turned a 1:19.4601s to finish two tenths clear of team-mate Fabian Coulthard, while defending champion Jamie Whincup was only 24th. Through the first half of the session, times improved gradually from Rick Kelly’s initial 1:20.8436s with efforts from Scott Pye, Kelly again, McLaughlin and Richie Stanaway. Pye was then the first driver to dip below the 1:20s bracket, turning a 1:19.9696s lap 20 minutes into the allotted 45. Coulthard lowered the benchmark to 1:19.9054s shortly afterwards, that time standing until Anton De Pasquale turned a 1:19.7910s with 12 minutes left on the clock. Moments later, McLaughlin set the fastest time of the weekend to date with a 1:19.4601s on a fresher but still used set of tyres. That lap was the time to beat entering the closing stages as some drivers turned to new rubber, McLaughlin three tenths clear of the field. Coulthard improved to trim the final margin to 0.2095s, but McLaughlin - who has won the last four races - remained on top. “The race car was good yesterday, where we did that long run and didn’t run greens,” McLaughlin said. “We worked on the quali car this morning, lucky it was dry, we got away with that. Coulthard added: “We’ve tuned the car up a little bit, trying to get it in a window where it’s going to be good for qualifying. Nissan Motorsport continued its strong start to the weekend, after setting the pace with Michael Caruso and Kelly on Friday. Caruso and Kelly were third and fourth, both within three tenths of McLaughlin’s benchmark in their Altimas. 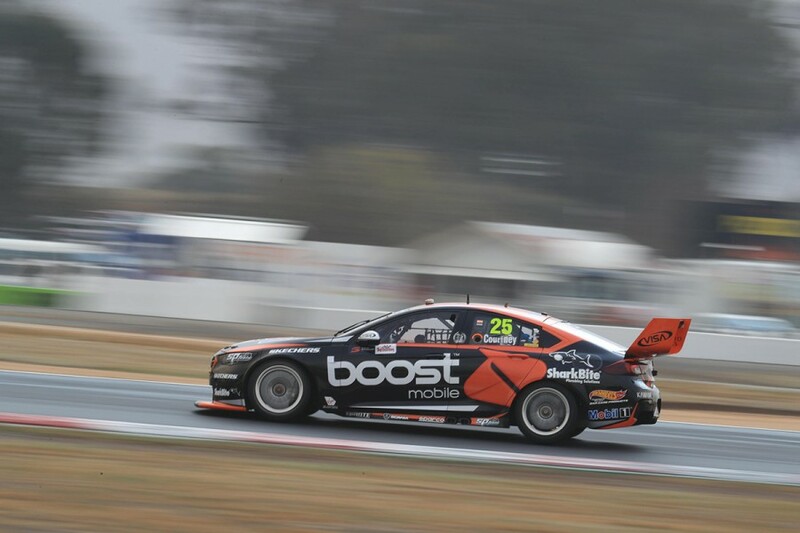 Another two team-mates filled the next two places, Mobil 1 Boost Mobile Racing with Pye and James Courtney in fifth and sixth. The team opted to road a set of wet tyres at the very start, as Courtney turned his first laps of the weekend having missed Friday’s running and visited hospital with a bug. “Much better today,” Courtney said. “They pumped a couple of litres through me last night with the IV and I’m right as rain. I think I need to get one of those set-ups at home! “The car seems like it’s going pretty good. I should give credit to Jack [Perkins] for his work yesterday. “There are some little things, like off the kerb at 1, it needs to settle a bit better, then into 7 as well. De Pasquale was the top rookie in seventh for Erebus Motorsport, while Cameron Waters, Lee Holdsworth and David Reynolds rounded out the top 10. Triple Eight had a quiet session, with Shane van Gisbergen, Craig Lowndes and Whincup only 17th, 19th and 24th respectively. “I think we’ve made the car balanced. On old tyres we were quite good and then everyone jumped at the end and we didn’t,” van Gisbergen said. Lowndes and Whincup both had off-track excursions at Turn 11 in the first half of the session, and were the best part of a second off the pace set by McLaughlin. “We’re chipping away with our car set-up,” Whincup said. Having been third on Friday, Nick Percat was 23rd, with Tim Slade the top Brad Jones Racing Holden in 14th, one spot behind early pacesetter Stanaway. Saturday’s ARMOR ALL Qualifying at Winton starts at 12:40pm, setting the grid for the 40-lap race at 3:50pm.